This versatile, stainless steel 64 oz. 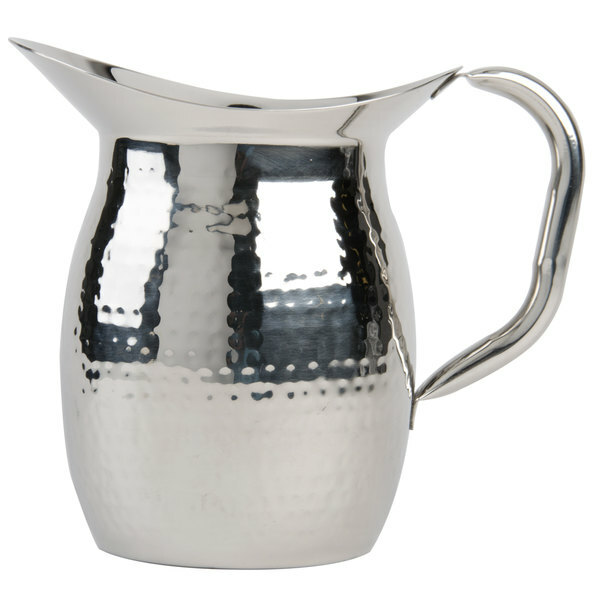 hammered finish double walled bell pitcher features an innovative double wall design. It's ideal for keeping cold drinks colder longer for self-service buffets at catered events, or for table service at a variety of upscale dining facilities. 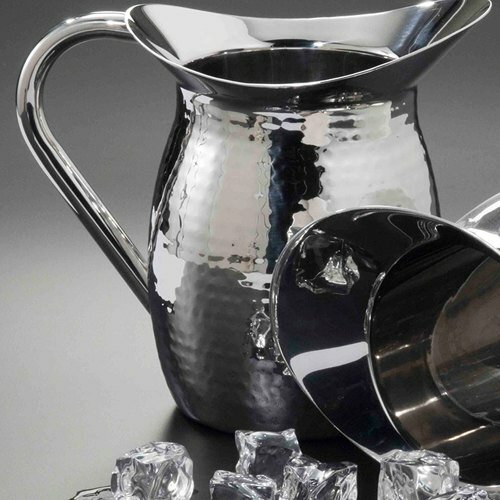 With its eye-catching, textured, hammered finish, and classic silhouette, this bell pitcher offers attractive beverage service for any occasion. Its double wall design reduces condensation to keep your table tops protected. Ordered 2 of these, they were back ordered for a few weeks, but once we finally got them into daily use we are very happy. Light weight and easy to pour no ice into a glass even with no ice guard. The pitcher does not leave any condensation as it is double walled. Plus, the finish is easy to keep polished and looking great.